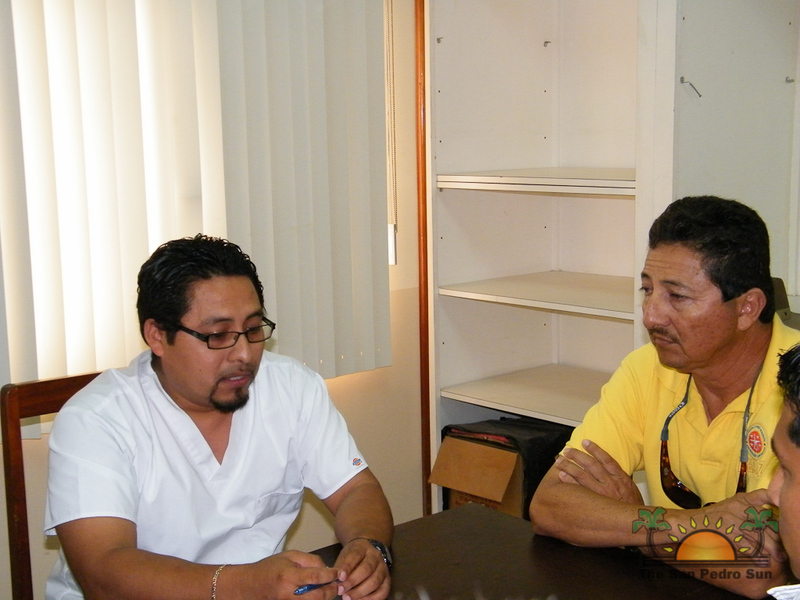 There is good news coming from the Dr. Otto Rodriguez San Pedro Polyclinic II. 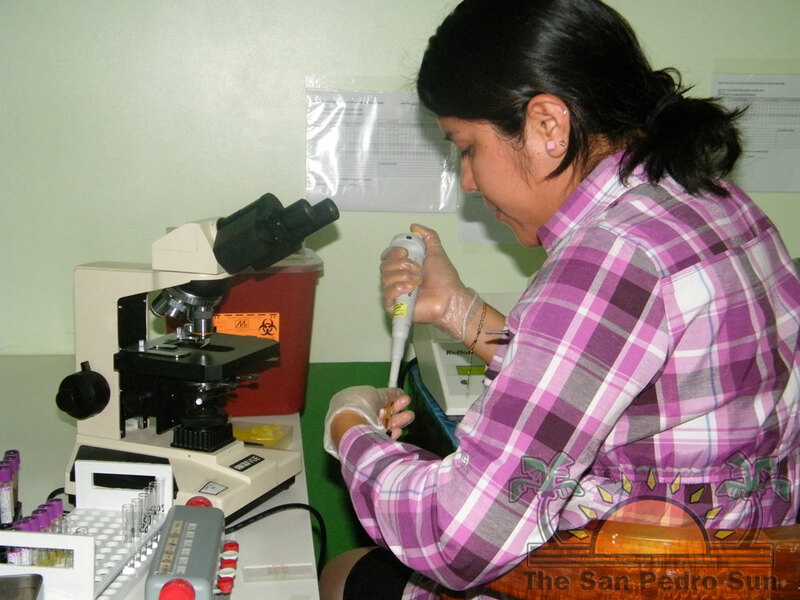 During the visit of members of the San Pedro Town Council (SPTC) on April 19th officials from the clinic announced that for the past three weeks, the clinic has extended its services to include laboratory testing. The Mayor of San Pedro in turn informed the management of the Polyclinic that a parcel of land has been secured for the construction of a new 24 hour hospital. The welcome news came after both parties held discussions over several issues affecting the delivery of healthcare on the island. First discussed were issues relating to security at the clinic as well as the way emergencies are handled. 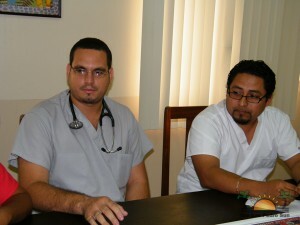 According to Dr. Javier Zuniga, the Polyclinic has been broken into and several important items were stolen, including computers. Because there is no security and surveillance system, there has been no lead as to who entered the building. Zuniga also stated that the Ministry of Health has approved some funds for the hiring of a security officer but because the pay is too little, no one has taken the job. In addressing the issue, Mayor of San Pedro Daniel “Danny” Guerrero has offered, on behalf of the SPTC to “chip in” to raise the salary being offered for the position. Mayor Guerrero also offered to secure funding to install surveillance cameras that will assist in securing the clinic’s belongings. Also discussed was the issue of medical evacuation at night off Ambergris Caye. The problem amplified after the closure of the British Army Training Support Unit in Belize (BATSUB) which had provided emergency evacuation via helicopter. Currently the only option available for night emergency evacuation is by the Belize National Coast Guard, provided that they are not on patrol at the time or to privately chartering a plane. When transported by boat patients are often exposed to the elements of weather which can add to their condition. According to Dr. Zuniga, those who can afford to charter a plane are still faced with a two to three hour wait while the flight is coordinated to Phillip Goldson International Airport. While the issue is something that requires Central Government input, Mayor Guerrero said that he is willing to lobby with central government to have the issue addressed. One proposal was to acquire an ambulance boat for the island staffed with trained paramedics, something Mayor Guerrero is willing to take up to the relevant authorities. Officials at the Polyclinic are looking at various Mexican designed ambulance boats that could be used for the island. Aside from listening to the concerns raised, Mayor Guerrero informed that a parcel of land has been identified for the construction of a hospital. According to the Mayor, the Ministry of Natural Resources has identified and secured a piece of property opposite Bowen and Bowen’s Cristal outlet on Blake Street all the way north to the San Pedro Family Fitness Club adjacent to the airstrip. The Mayor said that the land has been transferred to the Ministry of Health who will have to identify funds for the construction of the hospital. While funds can take years to be allocated, the Mayor hopes that the hospital is constructed within the timeframe of the current central government administration. Also welcoming was the news that the Polyclinic is now equipped with a laboratory service. According to the recently hired laboratory technologist Marie Carmen Chi, the lab can conduct full hematology (full blood count test), serology and chemistry tests. 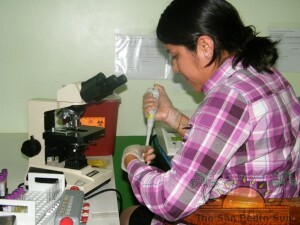 In addition various urinalysis and parasitology tests are also being conducted. Chi explained that while the laboratory is open daily, samples are taken from 8AM to 10AM in order to conduct tests and have the results the same day. In the past, the only other option was to extract samples at private laboratories or at clinics on the island, samples were then transported to Belize City for testing, after which it would take a few days before results are returned to patients. Mayor Guerrero also discussed with the management at the Polyclinic the possibility of offering dialysis to patients on the island. While the Mayor indicated that two dialysis machines have been donated to the council which they are willing to handover to the clinic, Dr. Zuniga indicated that there is much more that is required to offer such services. Besides the machine, it would also require other equipments, a specialized and highly sterilized room and trained nurses. They also discussed the possibility of offering x-ray services which will require a special lead shielded dark room. 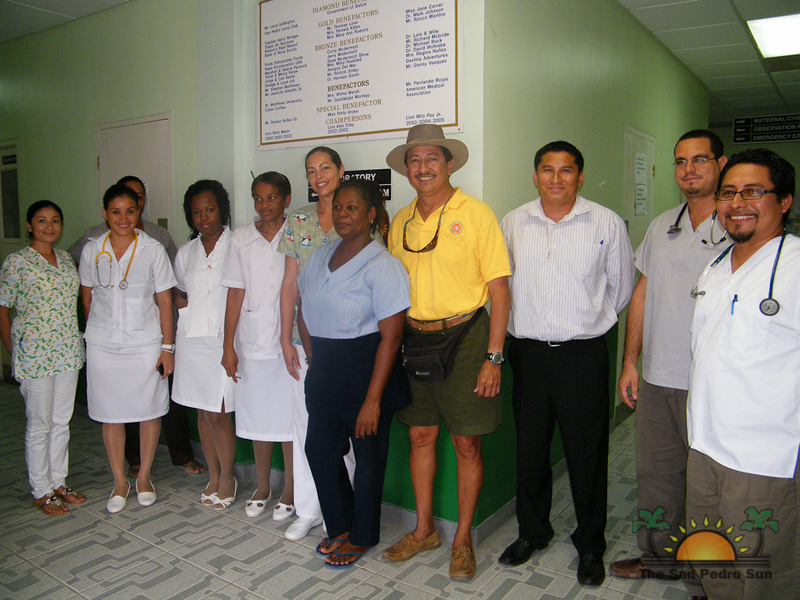 The Mayor and councilor toured the clinic and met with various staff members including Maria Jeffery who was Miss Belize 2006/2007 and Miss Reina de La Costa Maya for 2008/2009. Jeffery, who recently completed her degree as a registered nurse, is on training in San Pedro Town which is required of her before practicing nursing in Belize. Both the doctors and management of the clinic promised to work hand in hand with the SPTC to improve the services at the clinic.